It wasn’t so long ago that social media was seen as a fad that would soon disappear as quickly as it arrived, but nowadays, we all know how important social media is. Gone are the days that you could put just about anything up on the Internet, add a few keywords to your website, and Google would rank our sites pretty highly. It doesn’t work like that anymore at all. In fact, these days, keyword stuffing and search engine gaming are a death sentence for any business. Instead of providing poor quality information in a bid to get high rankings it is vital to develop real, lasting relationships with people in your niche. Now, more than ever, it’s important to capture traffic on your own. You have to make yourself seen all around the web in order for customers to find you. That means going where the people in your niche hang out…and that means social media. It doesn’t matter which niche you’re in, there’s a very good chance that your target audience are on Facebook, Twitter, or even both. Depending on your business, many people might also be involved in LinkedIn, Instagram, or Pinterest. We are not for one moment suggesting that making your website Google and SEO friendly are not important but you simply can’t afford to neglect social media. 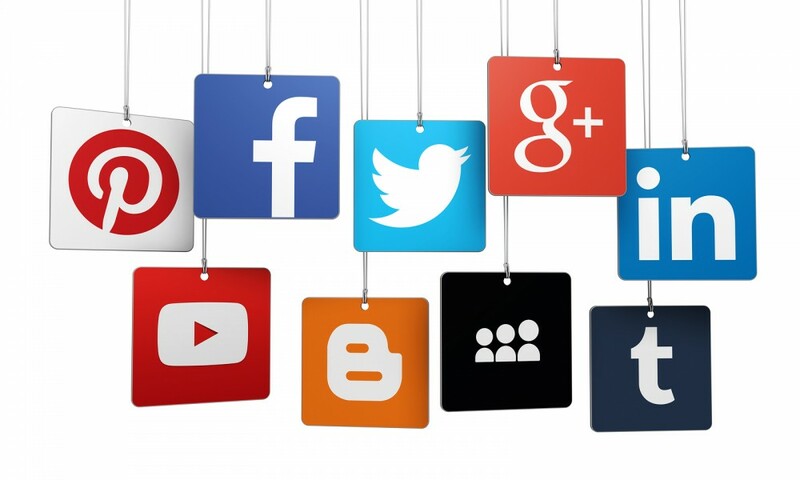 If you are like most of the local businesses we work with, then no doubt you’ve dabbled in social media here and there. Perhaps you have an account that you check into every once in a while or it could be that you even set a Facebook page up for your business but didn’t really take it anywhere beyond that. When talking to our clients, we have found that part of the problem is that social media can seem so daunting, especially when you don’t have likes and followers at first. For many it seems easier to ignore social media than to figure out how to do it right. It probably seems like it will be way too time-consuming, anyway. You have better things to do, don’t you? Well, if that is how you feel then let us reassure you that everybody finds social media was a little scary at first. To help you, there are some excellent tips in this article that will help you get up and running with a spectacular social media marketing campaign. By the end of the article you are going to be much more familiar with social media and be less intimidated by it. The article will show you how you can increase traffic, engage with your customers and form long-lasting relationships with your readers. 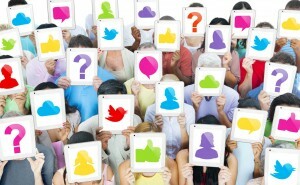 When people first get started on social media, they all tend to make the same mistake. They think they can just come right in and get hundreds of active, engaged followers right away, but sorry to say, it just doesn’t work like that. So, as a result, people fall into the next trap. They either give up altogether or end up paying for fake likes and follows to get things going. That is a big mistake and it never ends well. We want you to handle things differently. Make use of Facebook and Twitter to get a more active following for your business. Use those platforms to build relationships, establish yourself in the marketplace, give great advice and share information, and make more sales. 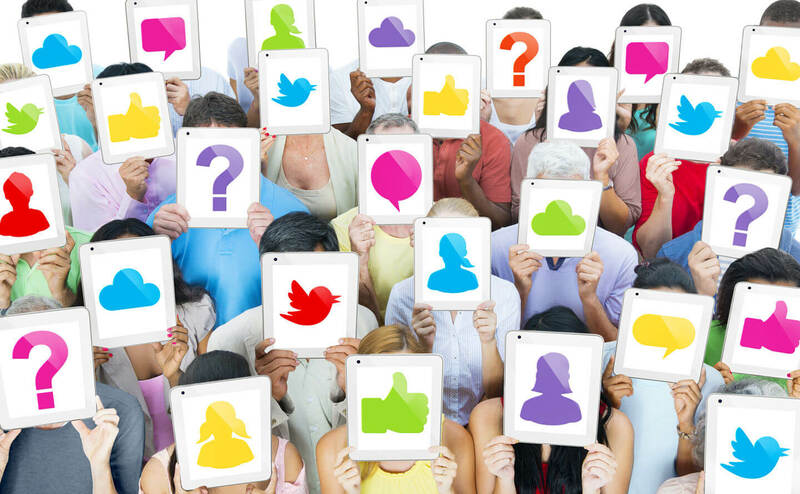 Investigate whether other forms of social media marketing are right for your business. 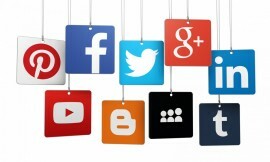 Integrate your social media marketing with what you do on your own websites and sales pages. Put an emphasis on driving traffic away from social media and onto your own squeeze pages and opt-in pages. This integrated approach will solidify your role as expert in your niche and boost your business in a huge way. Facebook marketing is extremely effective. There are four different ways you can build your presence, become known, build relationships, and make sales on Facebook. You most likely have a Facebook profile. If you don’t it’s time to get one. This is where you can catch up with friends, family members, colleagues, and even customers and clients. Unlike the other Facebook options, this is never an option to sell. This is strictly a place where you can be you. Here you can talk about your latest projects, share industry news, and ask for feedback. The focus here should be on getting to know your subscribers and helping them get to know you. Most businesses immediately think of Facebook pages when they think of Facebook marketing. These used to be called Facebook Fan pages, but Facebook have dropped the “fan” part of the name. These are specifically designed for people to Like and follow businesses and others with pages they are interested in. You can share more business-oriented information here. You can share direct promotions, such as coupons, linking directly to your sales pages, and so on. Don’t mistake the “permission” to sell as being permission to spam your readers. No one is going to ‘Like’ your page out of the goodness of their heart. They are only going to ‘Like’ your page if there is something in it for them. You should be sharing great information, photos, graphics, viral memes, talking about what’s going on in your business, taking polls, running giveaways, and generally treating the people who Like your page like gold. Facebook groups are wonderful and yet most business owners overlook them. You can start a Facebook group, open, closed, or secret, that people who are interested in your niche can join. Unless there is something particularly unique about your business, you’ll probably want to focus your Facebook group on a topic or interest, rather than on your business name. This group should be a place where people feel comfortable asking questions (which is why most successful Facebook groups are closed to non-members because they want people to feel comfortable and have the confidence that their posts don’t show up on the typical newsfeed) and sharing information. The reason why this is so effective is because you, as the owner, are in a fantastic position. Running a Facebook group is going to help you come across as being the great expert you are. You’re going to get instant “street cred” in your niche, simply by running a free Facebook group people can join. This should be a place people feel comfortable to be themselves. They should feel like they can ask questions, no matter how new they are. You, as the owner, can share what you’re working on and sometimes share direct promotions. Your main focus, though, is relationship building. We are constantly surprised why so many business owners are so hesitant to spend money to promote their business. By paying a company like Facebook to promote for you, it can be very helpful and boost your business very quickly. The great thing about paid Facebook ads is that they can be very targeted. You can target people who ‘Like’ specific pages or who have indicated specific interests. This is very useful and can help to ensure your ads reach the right people. Twitter marketing is a bit trickier but it certainly shouldn’t be ignored. Most businesses, large and small have planted their roots there and done extremely well building relationships and driving traffic, 140 characters at a time. That’s part of Twitter’s charm— it’s very fast moving, but people are used to the “noise” so messages can get lost more easily. You can really get to know heavy hitters in your niche and gain a following from those who are interested in what you have to offer. You can find and follow Twitter lists, tweet and retweet relevant information, reposed to popular Tweeters, and demonstrate that you know what you’re talking about and that you’re someone to listen to in the Twitter space. LinkedIn is a perfect site for businesses. It’s a great spot for people who are looking to establish their expertise and get more customers and clients in the business2business market. If you are in the B2B market, you can add LinkedIn to your marketing strategy. However, if you’re not, feel free to skip this social media platform for now and concentrate on the ones where your customers are more likely to be. Put a profile up about yourself, including your work and business history. Detail what you do and what your skills are. Connect with people, who can review you, your business, and your skills. Make a profile page for your business, which can give you more visibility. One of the cool things about LinkedIn is that you can easily integrate your other social media accounts. For example, your Twitter feed can show up on your LinkedIn feed. This kind of integration is exactly what you want to have going to make your social media activities more hands-off for you on a daily basis. Just like on Facebook, groups are one of the most overlooked parts of LinkedIn. You can join or start groups that relate to your topic. You can then help people and network with people who are in your niche. They will then view you as an expert and will be more likely to check out your LinkedIn page and your other sites and profiles. Instagram is hot right now and works very well for specific types of businesses, particularly those that promote physical products or benefit from sharing images in some way. Typically, businesses that are on Instagram share images and photos that people in their audience are interested in, whilst only occasionally sharing an image that promotes something. If you are interested in using Instagram, find businesses related to your niche on Instagram and map out a plan for how you might use Instagram in your business. Like Instagram, Pinterest relies heavily on graphics and images. Typically, people on Pinterest create categories and “pin” graphics and pages of interest from all around the web. It’s very popular for the food and drink, home decor, and fashion categories, for instance. Some writers and business people have made it work for them, too, by sharing images and ideas that are relevant to and exciting for the people in their niche. Would Pinterest be a good site for promoting your business? To find out, try to find others in your niche that are using Pinterest. Take notes on what they do and what they tend to share, and who tends to follow them. Brainstorm ideas for appropriate ways you can use Pinterest to promote your business. Remember, it’s typically not going to be about direct promotion, it’s going to be about connecting with your audience and building relationships. As we said, you are not going to succeed on social media overnight. That is why we recommend you map out your strategy ahead of time. Don’t stress about getting a million followers in a day. Your goal initially, is to get your Facebook profile and page set up, along with a Twitter account. Start to pad your profiles and accounts with great information that is sure to impress the people who visit. Take the time to investigate how others in your niche approach social media and take a modern approach to establishing yourself as an expert by giving freely of your time and expertise and really caring about your success. Social media works as a web to attract customers. You need to be present on these various sites, which gives you a lot more visibility. Your “web” will capture more readers and potential customers. Social media doesn’t have to be daunting or scary. You can get started today. You can even start to get Likes, friends, and followers today if you go about it in the right way. Social media can be a “slow and steady wins the race” kind of thing. Be patient and grow your accounts the right way for maximum success. Remember, that you don’t need to do this all yourself. Let us help you. We will create an affordable, tailor made social media marketing campaign that will literally transform your online business. We know what works (and what doesn’t) so we can deliver fast, effective results that will not only build a large online fan base for your product and business but also will significantly increase your products. We look forward to hearing from you.